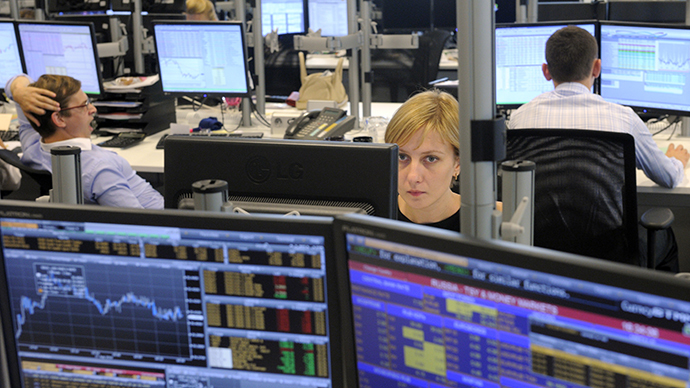 Russian stocks are expected to trade lower on Thursday due to negative sentiments on major floors worldwide, including weak data on US private jobs and disappointment over Japan’s efforts to boost its economy. “Given the downward motion on Asian floors, losses on US floors and also weak dynamics in oil prices, Russian markets are expected to open with another slide,” Investcafe analyst Darya Pichugina said. Russian stocks ended Wednesday’s trading session in the red: The RTS fell 1.61 percent to 1,301.08 and the MICEX declined 1.11 percent to 1,326.78. Asian floors likewise started Thursday’s session in negative territory, with Japan’s Nikkei down 0.45 percent, China’s Shanghai Composite down 0.24 percent, Hong Kong’s Hang Seng down 0.69 percent and Australia’s ASX/S&P200 down 0.65 percent. 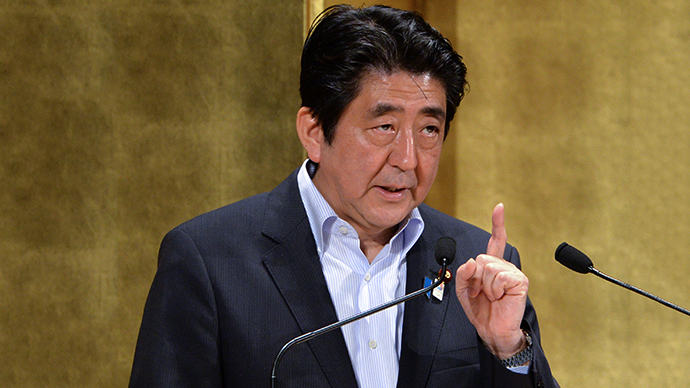 One major reason for the negative trends on Asian floors was Japan – Prime Minister Shinzo Abe’s ‘Third Arrow’ program to revitalize the country’s economy is seen as being largely ineffective. 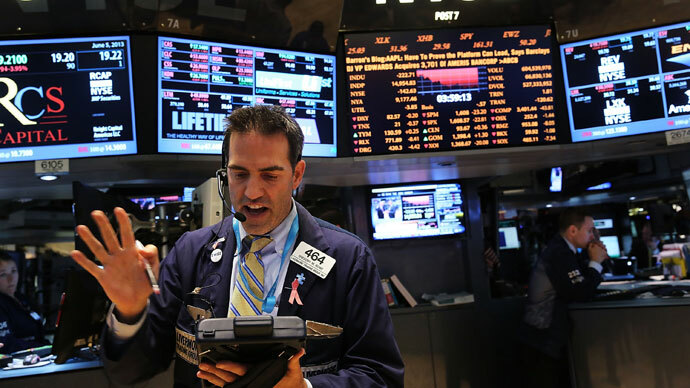 US stocks fell sharply on Wednesday: The Dow Jones dropped 1.4 percent, ending below 15,000 for the first time since May 6, the S&P 500 lost 1.4 percent and the Nasdaq declined 1.3 percent. 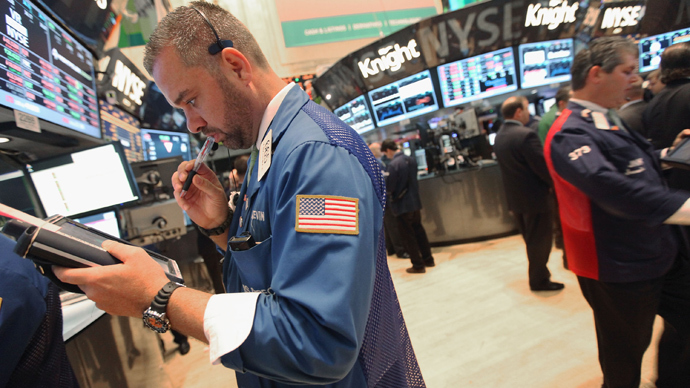 Wednesday's losses were the worst in almost two months for both the Dow and Nasdaq. Fears that the US Federal Reserve will scale back its stimulus program remain a key concern for investors worldwide. The central bank’s heads – including Richard Fisher of the Fed’s Dallas branch and Ester George of Kansas City – have announced an impending tightening of US monetary policy. “Though such statements aim to sugarcoat the termination of QE, they are still raising tensions among investors,” Pichugina said. In the Fed’s Beige Book report, an analysis of regional economic activity, the bank described the US economic recovery as "modest," "moderate" and "measured." Payroll firm ADP reported Wednesday that the private sector in the US created 135,000 jobs during May, less than the 165,000 expected. 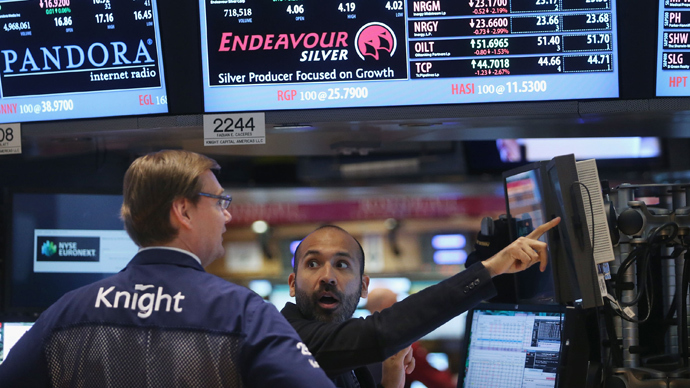 European floors also ended Wednesday in negative territory: The UK’s FTSE100 fell2.12 percent, Germany’s DAX lost 1.2 percent and France’s CAC40 fell 1.87 percent. Investors have faced headwinds from recent weak European macroeconomic data. The eurozone’s revised Q1 GDP fell 1.1 percent, 0.1 percent below forecast. Retail figures also worsened, with sales in April dropping 0.5 percent.